Get a taste of Amish life by exploring our 12-acre property, populated with features typical to the Plain Community, such as a farmhouse, barn, schoolhouse, and blacksmith shop. We offer a true representation of how the Pennsylvania Amish live today, and how they have lived for more than 300 years. Enjoy the sights, sounds, and smells of PA Dutch Country from the moment you arrive. Our knowledgeable guides lead you through this authentic Amish Farmhouse, which dates back to 1840. These tours are a great way to gain insight into the Pennsylvania Amish culture, history, and current way of life. 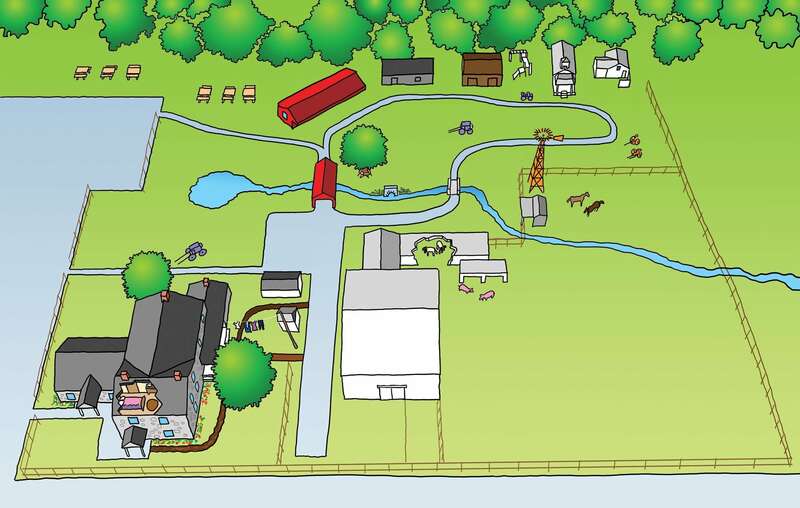 Because the Amish live without electricity, many farms use a system including the windmill and water wheel to complete tasks such as providing water to animals in the barn area. See this in action at The Amish Village. Like all Amish farms, ours is complete with a barn and a variety of animals. Get up close to goats, horses, chickens, and the area’s “local celebrity,” Molly the Mule. Built by Amish craftsmen, this authentically-furnished Amish one-room schoolhouse is a genuine example of how Amish children are educated today. Taste the flavor of the Pennsylvania Dutch Country inside a simulated smokehouse market and store. Amish-made jellies and jams are available as well as other local Lancaster County favorites. An important part of Amish life, this blacksmith shop is furnished with all the tools used by Amish craftsmen for almost 300 years. 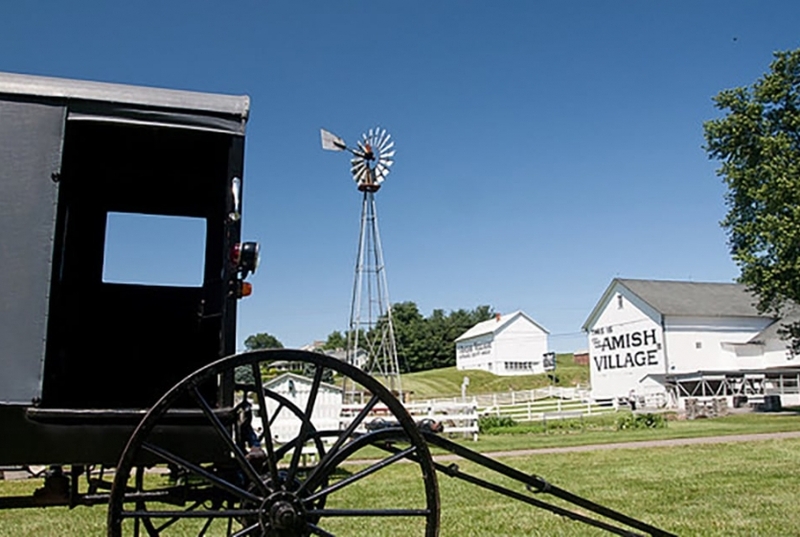 Find the perfect souvenir to take home to remind you of your visit to PA Amish Country. Authentic Amish crafts and handmade goods are featured along with other Lancaster-themed items. Relax and “set a while” at our beautiful picnic grounds. The perfect place for an afternoon lunch or snack, you’ll enjoy the opportunity to stretch out your legs and enjoy the fresh country air and beautiful Lancaster County scenery.